GM Korea Co., the South Korean unit of General Motors Co., said Monday it will pay monthly salaries to its employees this month despite a liquidity crisis. 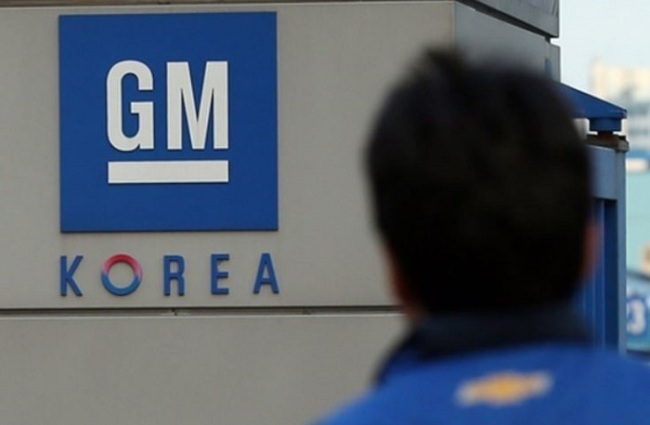 In a letter sent to employees, GM Korea President and Chief Executive Kaher Kazem said the company will provide part of the salaries due to its 11,000 assembly line workers on Tuesday and will make efforts to give the remainder before the end of the week, according to a company spokesman. Some 2,500 office workers receive their monthly salaries on the 25th day of each month. But none of the employees have received a second round of bonuses worth 4.5 million won (US$4,200) per person, which was originally set to be delivered on April 6. The first round of bonuses worth 6 million won was provided in February. As for the regular wage payment for this month, the executive said all-out efforts are being made “to have sufficient funds to make such payments, and (the company) will keep employees informed of the outlook,” he said. As part of its global business restructuring, GM announced in February that it will shut one of its four car assembly plants in the country by May, and it has sought concessions from the union in wages and some work benefits so as to remain in operation. Such demands have yet to be accepted by workers. The U.S. carmaker has also asked the state-run Korea Development Bank to extend a financial helping hand. The state lender will decide whether to extend fresh loans to the carmaker depending on the results of due diligence scheduled to be completed this month.